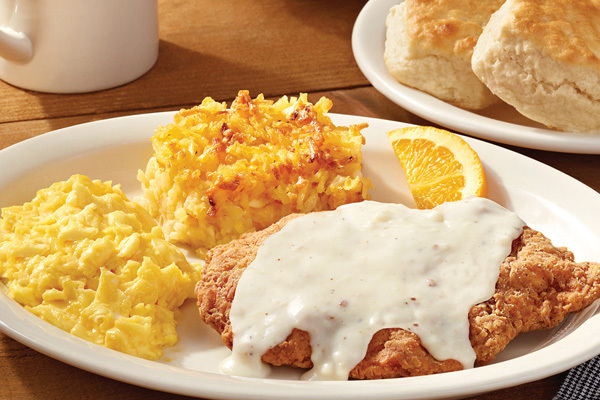 We serve America's top comfort foods such as biscuits and gravy and Chicken 'n Dumplings! Our classic, slow simmered Chicken n’ Dumplins is available in two sizes. Served with three country sides and homemade Buttermilk Biscuits or Corn Muffins. Rich, warm double chocolate fudge cake made with real Coca-Cola® and served with Premium Vanilla Ice Cream. Choose four or six chicken tenderloins grilled to perfection. Served with three country sides and homemade Buttermilk Biscuits or Corn Muffins. Folks have been enjoying these favorites for years. We use ingredients like Grade A farm fresh eggs, made from scratch Buttermilk Biscuits, our own special Golden Delicious Fried Apples. 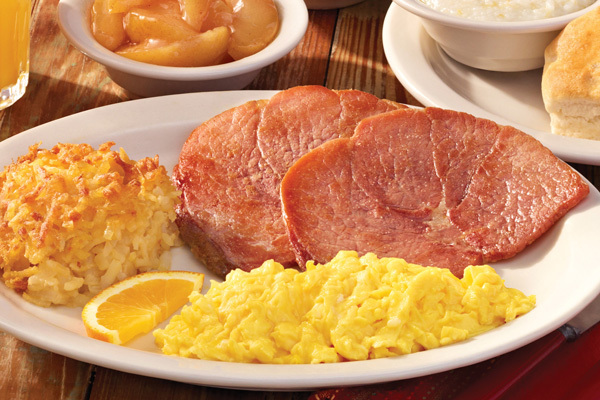 Thick-Sliced Hickory-Smoked Bacon and choice of Country or Sugar Cured Ham. "Starts with two farm fresh eggs* and grits. Plus Fried Apples or Hashbrown Casserole & your choice of meat. Comes with Sawmill Gravy, homemade Buttermilk Biscuits, butter and preserves n’ jam. 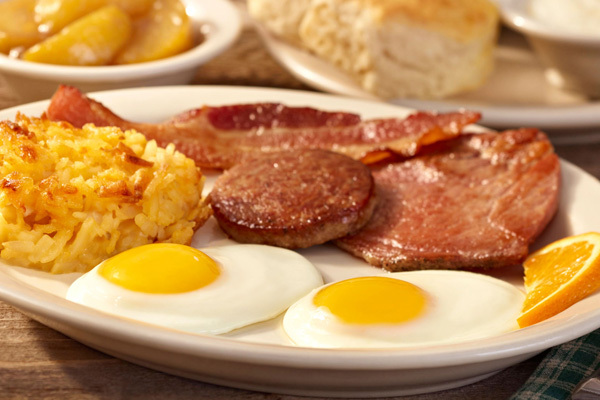 Two farm fresh eggs* served with grits, Fried Apples and Hashbrown Casserole plus a sampling of Thick-Sliced Bacon, Smoked Sausage and Country Ham. Comes with Sawmill Gravy (160 cal), homemade Buttermilk Biscuits (160 cal each), butter and preserves n’ jam. Starts with two farm fresh eggs* and grits. Plus Fried Apples or Hashbrown Casserole and Chicken Fried Chicken or Country Fried Steak. Comes with Sawmill Gravy, homemade Buttermilk Biscuits, butter and preserves n’ jam. Starts with three farm fresh eggs*, Fried Apples, Hashbrown Casserole and grits. Plus Sirloin Steak*, two Pork Chops or Country Ham. Comes with Sawmill Gravy, homemade Buttermilk Biscuits, butter and preserves n’ jam. 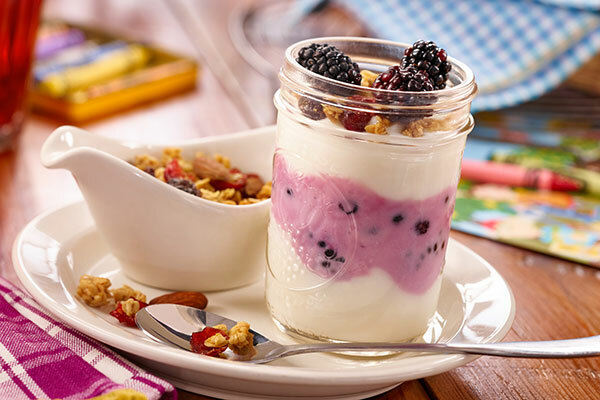 A mix of low-fat vanilla yogurt and Fresh Seasonal Fruit topped with honey oat, almond and dried fruit granola. 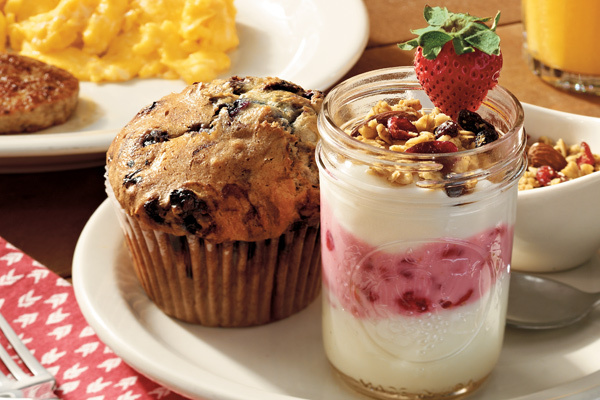 Served with two farm fresh eggs* and our house-baked Wild Maine Blueberry Muffin. 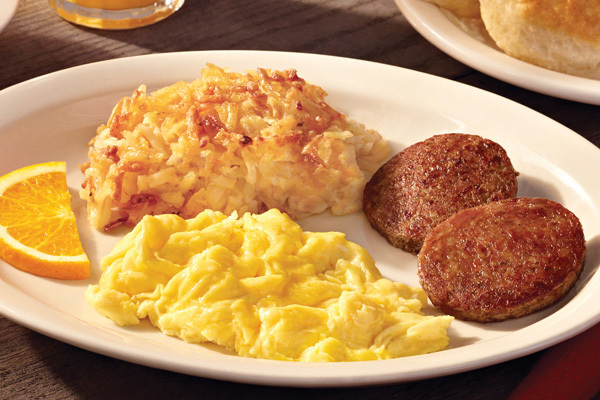 Plus Turkey Sausage, Thick-Sliced Bacon or Smoked Sausage Patties. Starts with two farm fresh eggs* and grits. Plus Turkey Sausage, Thick-Sliced Bacon or Smoked Sausage Patties. Comes with Sawmill Gravy, homemade Buttermilk Biscuits, butter and preserves n’ jam. Starts with two farm fresh eggs* and grits. Comes with Sawmill Gravy, homemade Buttermilk Biscuits, butter and preserves n’ jam. 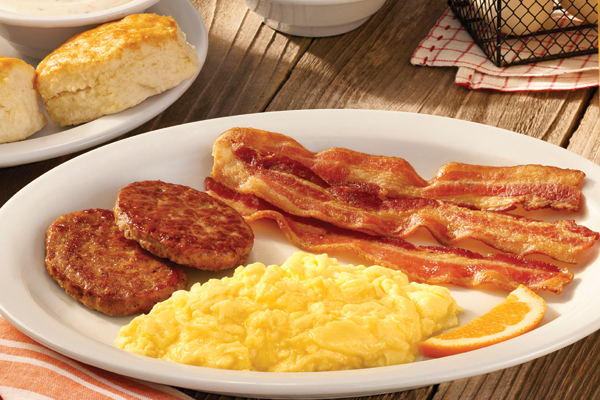 Starts with three eggs* with grits and a full order of Thick-Sliced Bacon and Smoked Sausage Patties. Comes with Sawmill Gravy, homemade Buttermilk Biscuits, butter and preserves n’ jam. Starts with two farm fresh eggs* and grits. Plus Fried Apples or Hashbrown Casserole and choice of meat: Sugar Cured Ham, U.S. Catfish Fillet grilled or fried, 8 oz Hamburger Steak**, Hickory-Smoked Country Ham, Fried Chicken Tenderloins, or Grilled Pork Chop. Comes with Sawmill Gravy, homemade Buttermilk Biscuits, butter and preserves n’ jam. Two farm fresh eggs* served on seared Sourdough bread with tomato and mayo. Plus choice of Fried Apples or Hashbrown Casserole. One egg* served with Buttermilk Biscuits, butter and preserves. Plus one sausage patty. Full order of sausage patties with Fried Apples or Hashbrown Casserole. Full order of Thick-Sliced Bacon with Fried Apples or Hashbrown Casserole. Three Buttermilk Pancakes topped with butter and served with two eggs. * Plus Thick-Sliced Bacon or sausage and 100% Pure Natural Syrup. Three Buttermilk Pancakes n' butter filled with Wild Maine Blueberries. 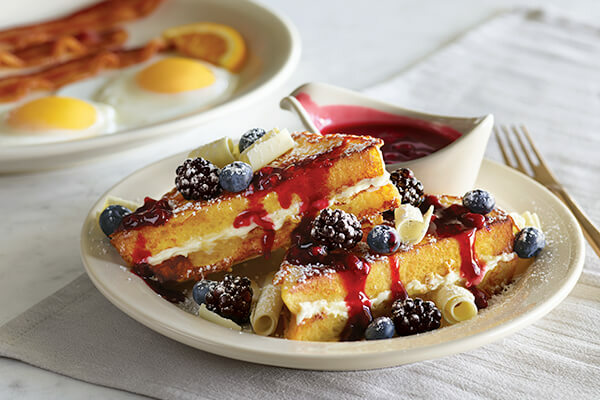 Plus Wild Maine Blueberry Syrup. Three Buttermilk Pancakes n' butter filled with pecans. Plus 100% Pure Natural Syrup. Three Buttermilk Pancakes. Plus choice of any fruit Sweet Topping. Four slices of our Sourdough bread, hand dipped in eggs and grilled, topped with butter and served with two eggs. * Plus Thick-Sliced Bacon or sausage and 100% Pure Natural Syrup. Four slices of our Sourdough bread, grilled and topped with butter. Plus Syrup or any fruit Sweet Topping. Starts with two Buttermilk Pancakes n’ butter served with two eggs* and a sampling of Thick-Sliced Bacon and Smoked Sausage. Plus a sampling of Sugar Cured or Country Ham. Served with Fried Apples or Hashbrown Casserole. Plus 100% Pure Natural Syrup. Generous serving of four hand-breaded pieces of bone-in chicken, seasoned to perfection, then fried until golden and crispy. Comes with honey for drizzling, two country sides, and homemade Buttermilk Biscuits or Corn Muffins. Choose four or six chicken tenderloins fried till crispy, served with BBQ or Honey Mustard sauce. Served with three country sides and homemade Buttermilk Biscuits or Corn Muffins. Choose one or two spicy, grilled U.S. farm-raised catfish fillets. Served with three country sides and homemade Buttermilk Biscuits or Corn Muffins. Choose one or two cornmeal breaded U.S. farm-raised catfish fillets fried golden. Served with three country sides and homemade Buttermilk Biscuits or Corn Muffins. Choose one or two seasoned boneless spring water trout fillets grilled until tender. Served with three country sides and homemade Buttermilk Biscuits or Corn Muffins. Comes with three vegetables plus homemade Buttermilk Biscuits or Corn Muffins. With granola and chopped almonds. 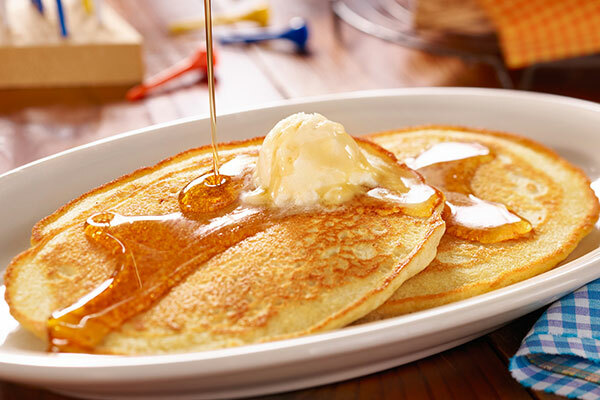 One Buttermilk Pancake topped with butter. Served with syrup or any Sweet Topping. (Serves 6). Includes Casserole, Coarse Ground Grits, Sawmill Gravy, and signature homemade Buttermilk Biscuits with real butter n’ Preserves and Choice of casserole, meat and side. 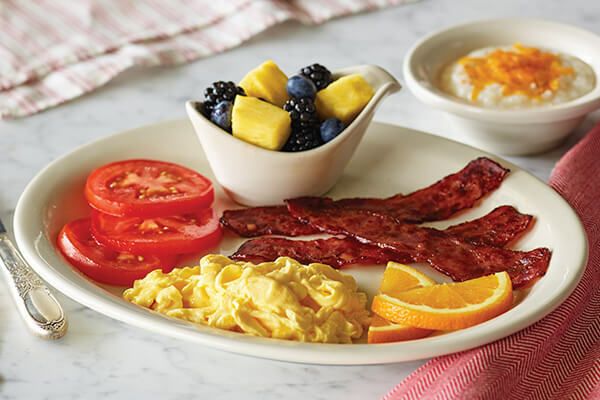 (Serves 6) These single-serving breakfast bowls feature four layers of savory Southern flavor. Each Bowl Includes: Hashbrown Casserole, Sawmill Gravy, choice of Smoked Sausage, Turkey Sausage, Sugar Ham, or Crispy Bacon, all topped with Colby cheese. Served with: Fresh Seasonal Fruit, homemade Buttermilk Biscuits with real butter, preserves n’ jam. A signature dish and guest favorite.Chicken tenderloins and made-from-scratch dumplins slow simmered in our rich chicken stock. A hearty portion of our special recipe Meatloaf made with beef, tomatoes, onions and green peppers. Chicken tenderloins crispy breaded and deep fried (24). Marinated and grilled chicken tenderloins (24). Hearty dinner-cut slices of our Sugar Cured Ham (6). Dinner-cut slices of our Hickory-Smoked Country Ham (6). 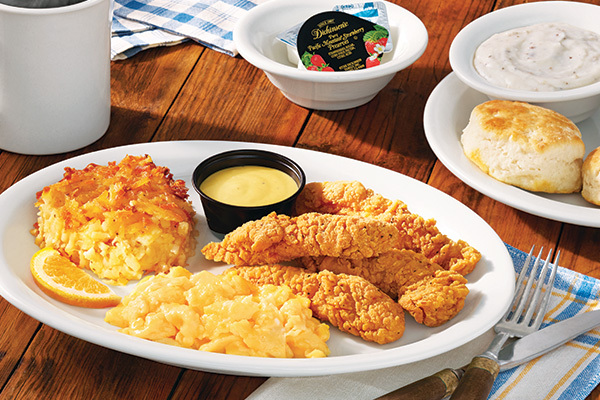 Freshly brewed and made with our traditional Southern touch. Made with 100% premium quality Arabica coffee beans.